I’ve rounded up what I think are the most intriguing examples of geofencing. The list includes retailers but also other sectors such as leisure and education. Take a look, because this is an area that almost any company could surely find a compelling use case for. After looking at the pros and cons of NFC (near field communication), it’s clear there’s a place for tapping to enjoy content as well as to pay for products. However, the customer’s willingness to tap a poster with their phone is dependent on how well many initial NFC campaigns are carried out. Some clunky efforts, with terrible landing pages and insufficient incentives have risked putting users off for good. This is changing as brands start to use the technology in better surroundings and to better purpose. A mall is the perfect environment to encourage users to tap with their friends. To that end, from this week, shoppers can “turn on, tap and enjoy” content and competitions at Westfield shopping centres in London through CBS Outdoor digital pods, which use Proxama’s TapPoint NFC platform. I recently wrote about mobile NFC being dead in the water. Since then a few dissenting voices have piped up. Understandably, some working in this area. One of the voices was Proxama’s. It runs TapPoint, which is a cloud-based SAAS. I spoke to the MD, Miles Quitmann, and he was refreshingly honest enough to turn my oil tanker of beef around and leave me excited about the possibilities of loyalty ‘on tap’. So here’s a summary of emerging possibilities for marketers, using the growing number of NFC enabled smartphones in the market. Loyalty schemes are big business. You only have to look at Tesco’s Clubcard, Boots Advantage and Nectar points to see how effective they are at drawing consumers in and creating brand loyalty on the high street. But looking around the globe traditional loyalty models are being taken on by the mobile revolution. Brands using their mobile channel to target engaged consumers and deliver smarter, personalised deals are giving traditional routes a run for their money. Fiddling about with coupons and cut-out offers at the till will soon be a thing of the past. Brands that have harnessed marketing to mobile, enhanced by mobile payment solutions, will smooth the way when it comes to redeeming offers at the point of paying. 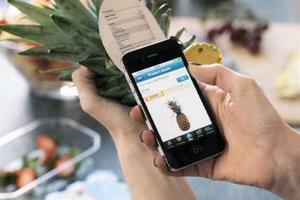 Mobile couponing has been gaining more and more speed over the last year. According to a recent eMarketer study, rising food and gas prices in the United States has lead 74% of US consumers to use more coupons this year. In particular, the use of mobile coupon is on the rise: mobile coupons or app usage increased by over 100% in 2011, and 100% again in 2012. Furthermore, 79% of US internet users were using more mobile coupons this year—on par with print coupons and circulars. Mobile coupling is great, but wouldn’t it be even better if you could poll your mobile audience? Ask users ‘how many times have you purchased this product?’ and ‘how did you first hear of this product?’, etc. Want to have the consumer watch a video about your brand? For many brands, awareness is key – couponing is only one piece of the puzzle. The daily deals market has rapidly grown in the last three years, with market leader, Groupon, now present in 48 countries with an estimated 33m customers. In late 2011, Groupon’s IPO valuation was an estimated $12 billion. Despite this immense growth, the industry suffers from perception problems, with some even claiming the bubble has already burst. However, the market is still relatively immature, and the industry faces many challenges before it establishes itself as a credible component of the marketing mix. It was only a couple of weeks ago that Groupon was told to clean up its advertising practices by the OFT. 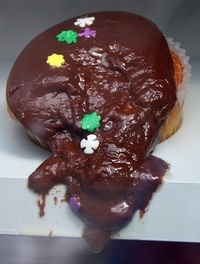 In particular, the industry needs to address its cases of failure head on and work with merchants to optimise the effectiveness of daily deals and prevent high-profile disasters (particularly those involving cupcakes). Consumers prefer to receive promotions by text message rather than mobile web, according to new research by the Direct Marketing Association. The study found that 38% of UK consumers prefer SMS promotions compared to just 15% that favour mobile web. However, this is likely to be a reflection of the number of consumers who own smartphones – which currently stands at around 46% in the UK according to Ofcom. The growth of the smartphone provides a number of opportunities for brands to engage with consumers based on their current location. According to stats from the Mobile Marketing Association, 26% of mobile users regularly use a map, navigation tool or similar service that automatically determines their current location. Location-based marketing allows brands to adapt their marketing messages based on where consumers are geographically when they see them, and also what that location may tell you about their habits. Econsultancy announces Red Friday: sell our stuff and win £10,000! witnessed a lot of changes both on and offline. m-commerce have changed the face of marketing over the past decade. few things that remain the same year after year. time of year? We certainly do! to win £10,000 on Red Friday! Is there a gap in Gap’s marketing? Just last month Gap Inc continued its expansion by finally launching European e-commerce sites for both the Gap and Banana Republic brands. It is puzzling that these brands and a number of close competitors have waited so long to take the step, but now that they have, the opportunities are immense. However, as a data marketer, I’m not so sure Gap is currently making the most of the multichannel opportunity. Baby products retailer Kiddicare, has recently introduced the option of cash payments on its website, by buying a voucher and entering the voucher number during the checkout process. The vouchers will be available to purchase from more than 21,000 PayPoint outlets which includes many local shops and petrol stations. According to the retailer, this alternative payment method has been introduced as a result of customer demand.